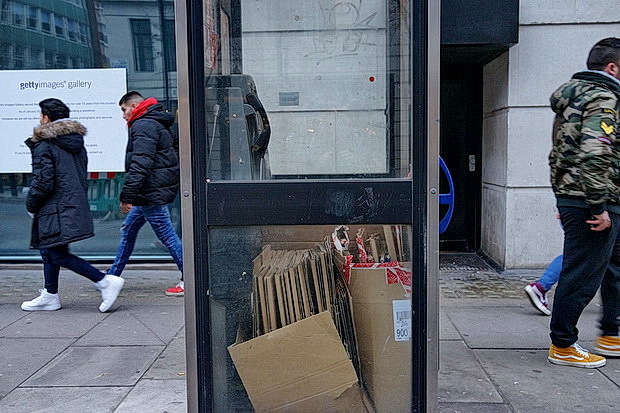 I’ve noticed this cardboard-packed phonebox off Oxford Street a couple of times in the past, and it’s always mystified me. 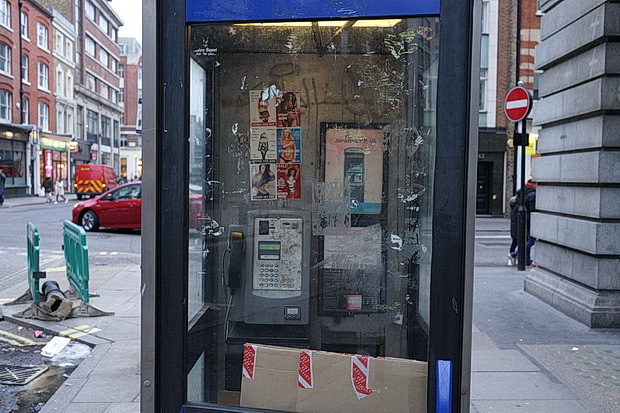 The phone box is located on Great Titchfield Street by the junction with Eastcastle Street, W1. 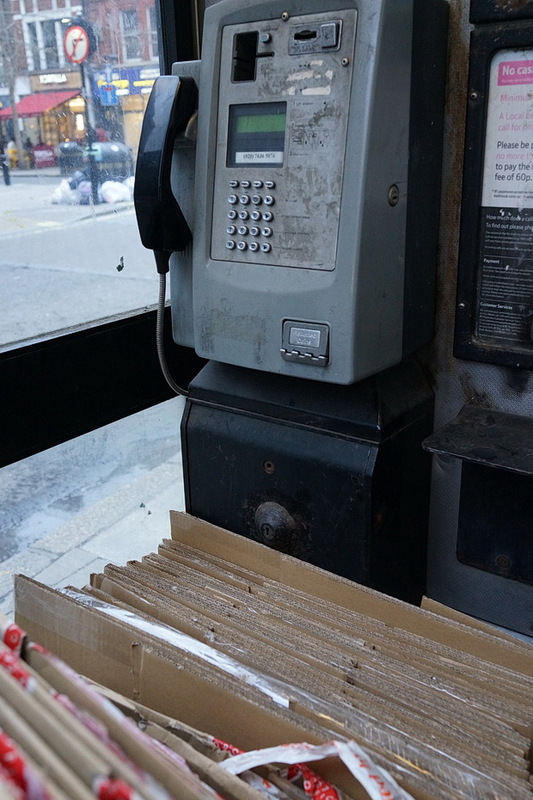 Anyone hoping to make a call from this box would be in for a bit of a struggle, as they’d have to lean over the pile of neatly packed cardboard to reach the handset. Above the cardboard can be seen the usual ‘model’ cards. It’s a bit of mystery why the cardboard gets placed here. 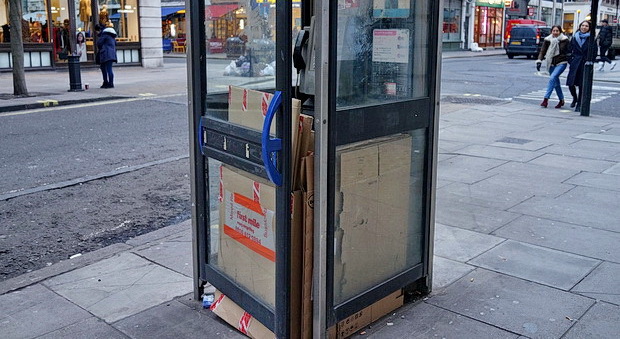 My first guess is that homeless people may be storing it there for the chilly night ahead, but it’s unusual that the cardboard seems to be of a uniform size and in good condition. It’s for the homeless. 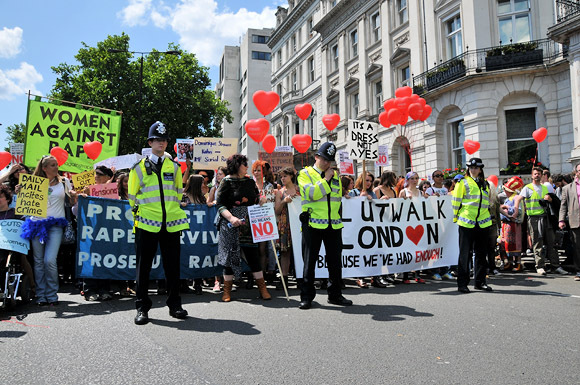 There’s a person or couple that build a large and impressive structure usually in the doorway of a kitchen furniture shop close by.